All of our essential oils are true, therapeutic quality essential oils, 100% pure & natural – no synthetics, no adulterants, no fragrance oils, no dilutions. Just pure essential oil carefully sourced, as fresh as possible and bottled by hand in our shop in North Carolina, USA. 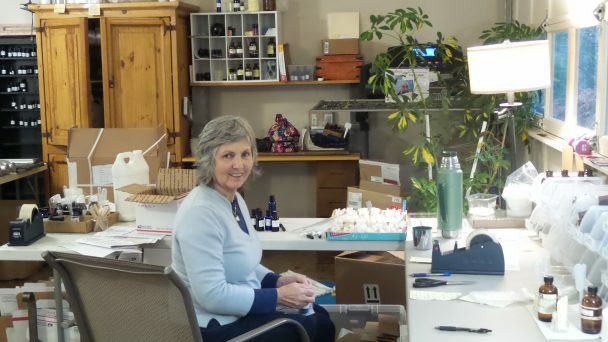 We bottle all of our Therapeutic Quality Essential Oils by hand. Therapeutic Quality Essential Oils – we sell only the Best – true Therapeutic Quality Essential Oils, 100% pure and natural with nothing added or removed. What’s the difference between Therapeutic Grade Essential Oils and Therapeutic Quality Essential Oils? All of our Artisan Aromatics brand Essential Oils are Therapeutic Quality and we hope that you will choose to use our essential oils – we do our very best to make sure that we provide you with the very best quality oils and the very best service. Almost all of our Therapeutic Quality Essential Oils and other Aromatherapy Products are guaranteed. If you don’t like it, contact us, let us know why and return the item. We’re a bit old fashioned in that we still believe that “The Customer is Always Right” – well, almost always. We accept returns on almost all of our oils with the exception of our very rare enfleurage oils. If you are unsure about them, order a sample first – ’cause there is no returns for them due to rarity. For more info on who we are / what we do, please visit our page: About Us. Our years of experience in aromatherapy and the buying and selling of essenttial oils ensures that not only are the oils we choose from our select group of growers and suppliers the best aromatherapy quality available but, we also take additional steps to make sure that the oils that we send to you are the freshest oils available. We bottle and label each oil only after we receive an order so your oils are as fresh as possible. All of our oils are bottled by hand, one-by-one here on our farm in the mountains of North Carolina – not by some automated filling machine. Each label for each bottle (5ml or larger) of our essential oil includes Oil Name, Botanical Name, Country of Origin, Method of Extraction, Method of Growing (Organic, Wildcrafted or Conventional), Batch # & Bottling Date. Still need a little help being convinced? If so, viist our Reviews & Testimonials Page and see what some our customers have to say about us. Essential Oil GC-MS Reports: At Artisan Aromatics we’re serious about essential oil safety. That’s why GC-MS testing by independent labs has been done on all of our essential oils: GCMS.